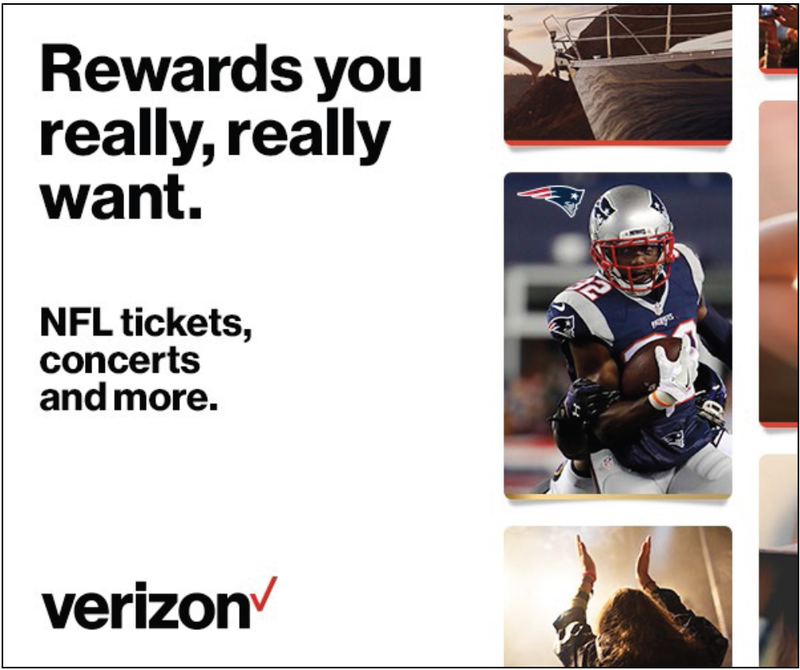 To promote a new reward program, Verizon Up, where customers can earn prizes such as NFL tickets, we teamed up with our sponsors to create unique, fan-centered ads to be displayed on select team websites. Each asset consists of three slides: one with a team-centric introduction in the style of Up's tagline, "Because, thanks," a second to introduce the rewards program, and a third to tie it all back to Verizon. 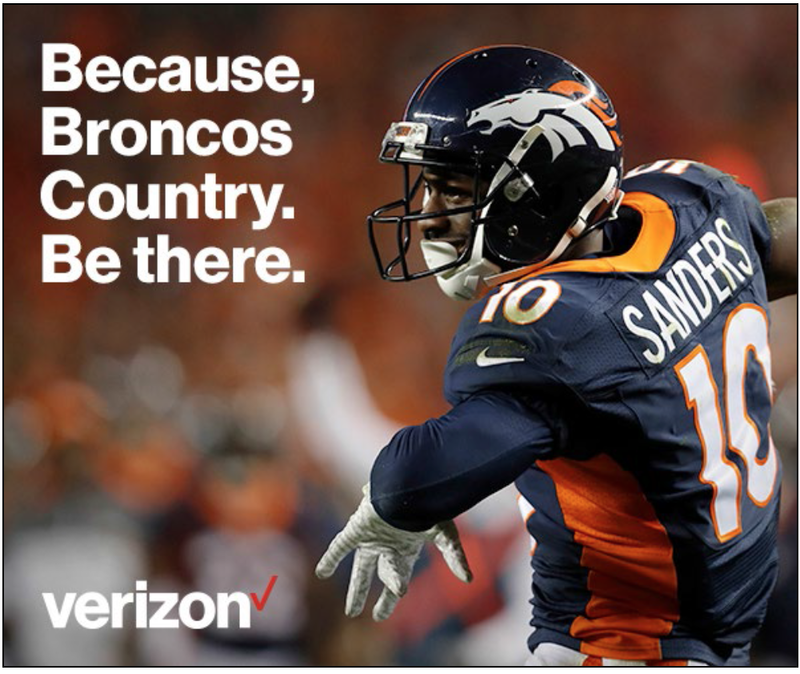 The idea behind the copy was to inform the customer that they could watch their favorite team live through Verizon Up. 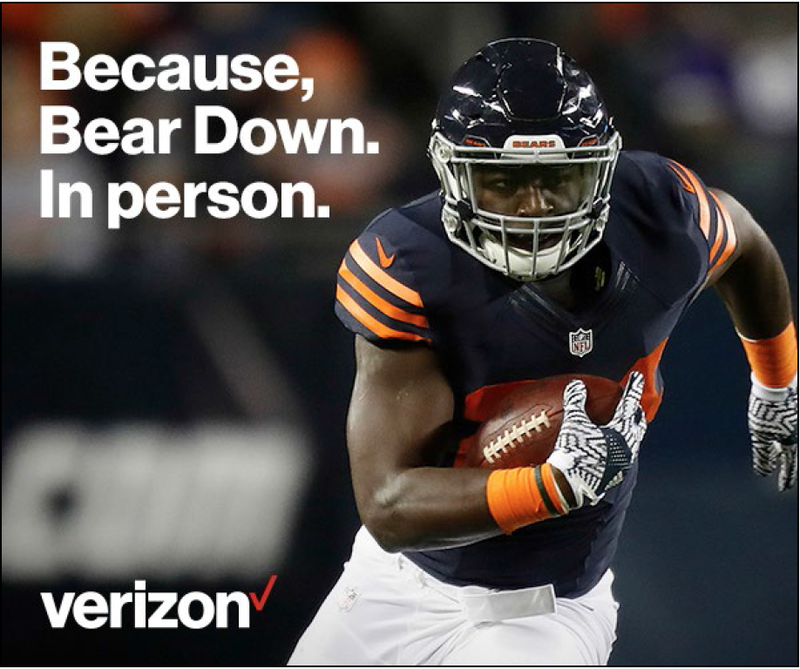 In addition to our Verizon Up campaign, we also teamed up with the NFL to promote their streaming service, through Verizon, in which customers can watch live NFL games on their mobile devices. We wanted to show this service goes hand-in-hand with Verizon's unlimited data plan, so one can stream all the football he or she wants without worrying about going over a limit.